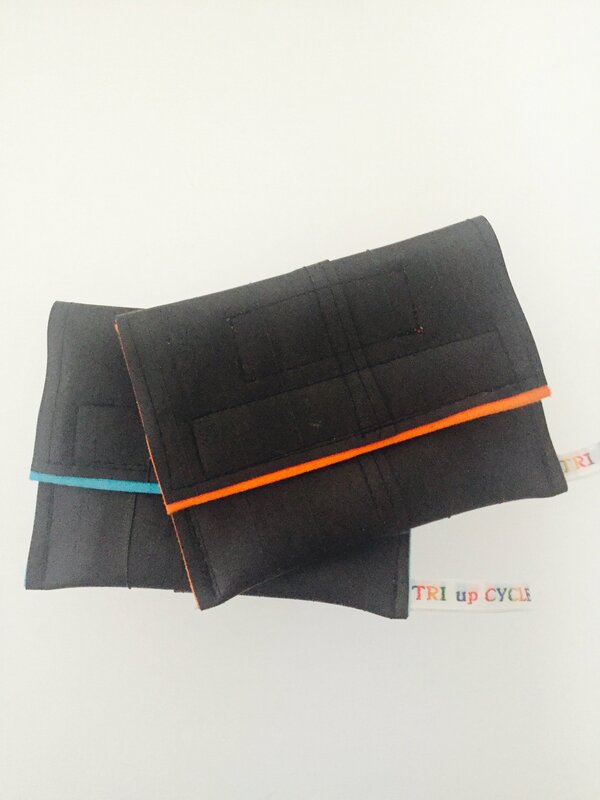 Rachel from Tri-Upcycle has created these handmade custom cafe wallets from recycled inner tubes in her workshop in Lincoln. These are hardwearing, waterproof and quirky. 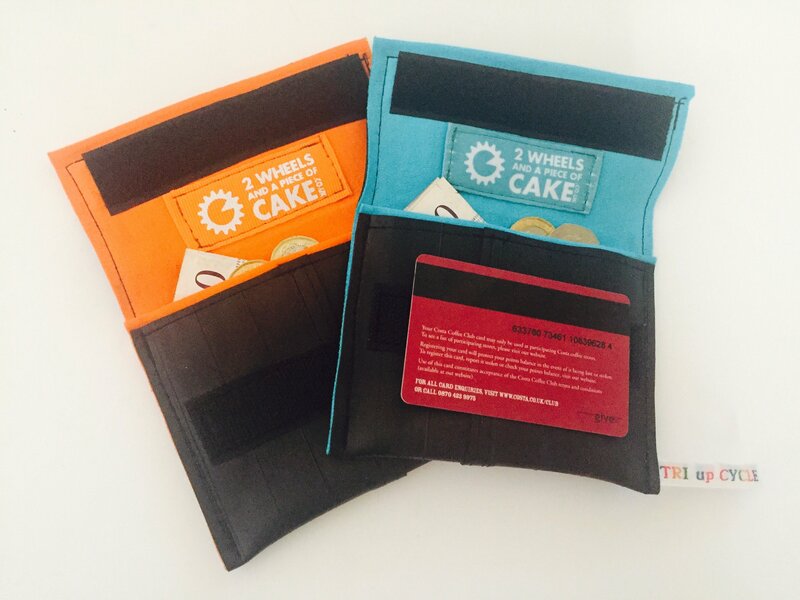 They slot easily into the pocket of a cycle jersey and are perfect for any cyclist wanting to keep some cash and their cafe loyalty card safe and dry on a ride! The cafe wallets are sized 12cm x 10cm with a velcro fastening. There is a choice of teal or orange jersey lining. These will make a fabulous stocking filler for that special cycling someone - but it would be rude not to treat yourself too! Available for delivery from 28 November 2017. Last date for UK orders to be delivered by Christmas - 20 December 2017. Free UK postage and packing. Please contact us for international postage.